Berlin loves Hanin Elias – after all, this Syrian German musician is a riot grrrl with a penchant for industrial and techno. 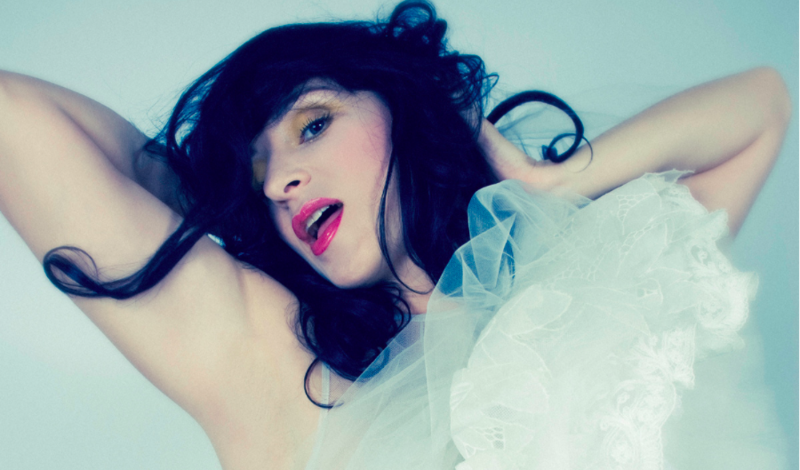 She first gained recognition as a member of Atari Teenage Riot, and has never backed down since then – continuing to create music under her very own label, Fatal Recordings, and collaborating with the likes of Le Tigre, Thurston Moore, J Mascis, Alexander Hacke, Merzbow, and Alec Empire. Firas Alshater is one of the most iconic Berlin personalities. He came to the city back in 2013 when he was 22. His arrival was preceded by events that would crumble many. Back in Syria, he was captured multiple times and tortured by Assad’s secret police because of his videos documenting the progress of the events that commenced with the Arab Spring. When he was granted an asylum in Germany, he continued to express himself with a camera, and – astonishingly – he was able to employ comedy even when tackling some very important issues. You might have already seen the video of him standing blindfolded on Alex with a sign that said: ”I am a Syrian refugee. I trust you – do you trust me? Hug me!”. Unsurprisingly, his YouTube channel got him quite a following and now Firas has also written an autobiography – ”Ich komm auf Deutschland zu: Ein Syrer über seine neue Heimat”. Wafa was born in 1990 in Syria and came to Germany in 2016. Before that, she lived in Turkey for a few years after having escaped Syria where she was starting to experience ruthless repercussions of her involvement in activism. 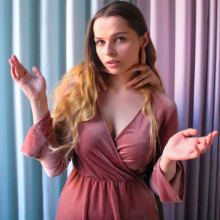 In Berlin, she’s a journalist and a student at the Bard College, where she has exhibited her unique video installation featuring literary texts – you can read one of the text included in the installation here (in German). Here you can find out more about Wafa herself. The talented and charming Haidar A. Darwish is spicing up the queer scene of Berlin even more with his belly dance performances! He arrived in Berlin in 2016 and managed to balance out the everyday life struggle of a newcomer with honing his skills as a dancer fusing different styles such as voguing, hip hop and traditional belly dance. He’s already performed all over the city, participated in the Berlin documentary film Berlin Is Burning and is part of the newly formed House of Arise. If you want to see him perform check out his monthly show with Drag Queen Judy La Divina at Silverfuture. Khaled Barakeh is a graduate of the Faculty of Fine Arts in Damascus, Syria who completed his MFA at Funen Art Academy in 2010 in Odense, Denmark. He’s an internationally acclaimed artist whose works have been exhibited at numerous galleries, including the Künstlerhaus Stuttgart; Kunsthalle Brandts; Ovegarden, Denmark and Smack Mellon in New York City among others. 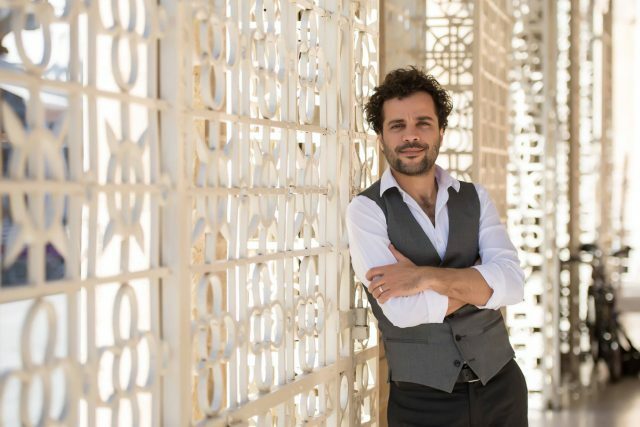 He’s the founder and director of Syria Cultural Index, an online platform founded in response to the sudden displacement of Syrian cultural producers. 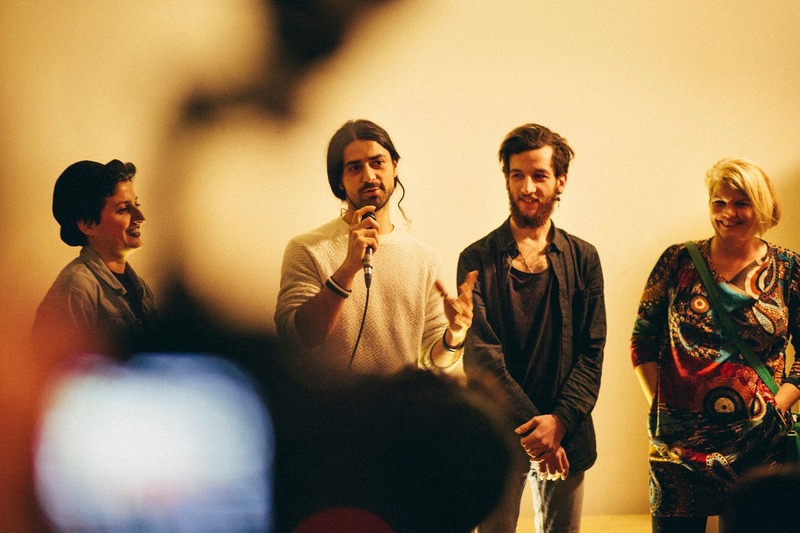 The SCI functions both as an online gallery and a professional social network, emerging as a valuable tool for Syrian creative practitioners. Widad Nabi was born in the Syrian city of Kobani in 1985. 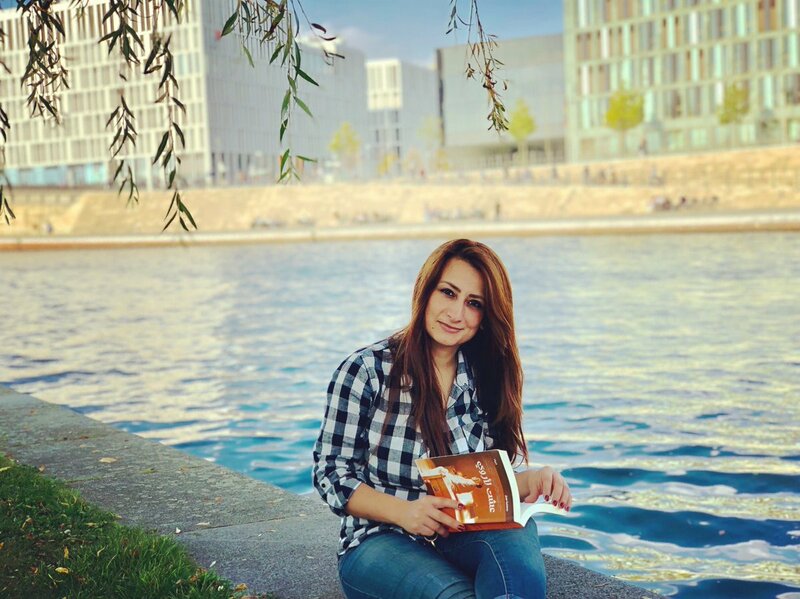 After acquiring a business degree from the University of Aleppo, she focused on literature and poetry, including writing many contributions to Arabic newspapers and magazines. Widad has published two books – ”Time for love, time for war” in Aleppo in 2013, and ”Syria and the futility of death” in Beirut in 2016. You can read her article ”Integration is the search for common ground” translated into English here. Rafat Alzakout was born in Syria and graduated in 2003 from the Higher Institute of Dramatic Arts in Damascus with a degree in theater acting. He then commenced his professional career as a theater actor and director. 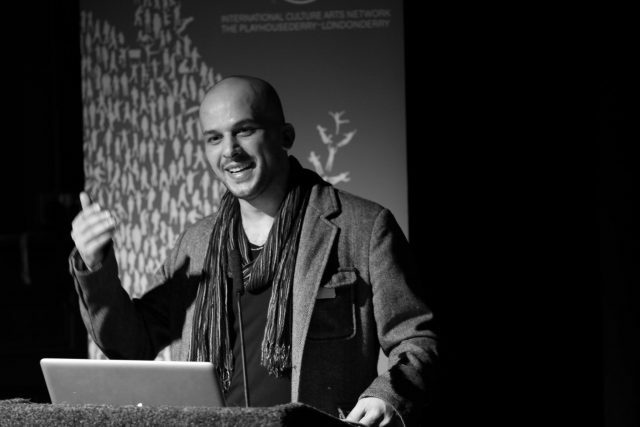 In 2012, he started working on ”Home” – his first featured documentary touching on friendship, hope, and artistic expression all affected by the Syrian political turmoil. Since November 2015, Alzakout lives in Berlin. In 2017, he directed ”Your Love is Fire” – the world premiere of the new play by ayoung Syrian author Mudar Alhaggi. Anna Banout is a Syrian-Polish designer who’s based in Berlin. She’s passionate about design in all of its forms and it shows in her diverse projects. Some of them include the elaborate award winning project SYRIA 2087, a short film on identity and a zine that cherishes the memories evoked by different corners of the world. You should definitely check out the QANANI project, which combines the traditional craft of weaving with upcycling technology. The idea behind it is empowering Syrian women by providing them with ways to handcraft aesthetically appealing objects of everyday use from plastic waste. Alaa Khalil was born in Damascus. In Berlin, he became working as a DJ and musician. His stage name – Syriantal – merges ”Syria” – his country of origin and ”oriental” – his favorite music genre, two words that were vital in shaping his identity. The list of venues he’s played in is expanding all the time, and already features classics like Ritter Butzke, Birgit&Bier, or SO36. Iman Hasbani is an installation and performance artist. She was born in Swidaa in Syria and studied at the Damascus University. Over the years, she took part in numerous collective exhibitions in multiple Syrian cities. 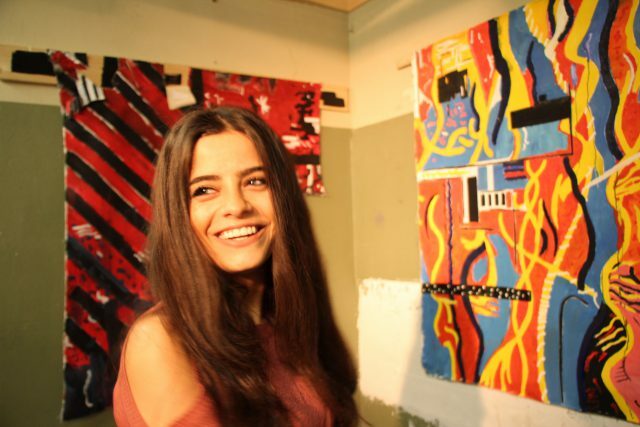 Before she came to Berlin, Iman Hasbani was working using art therapy to help children who had been affected by the war in Syria and later took up an artist residency in Beirut. 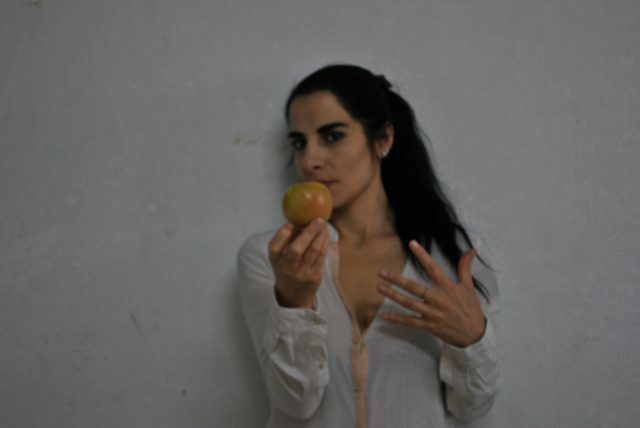 You can watch her 2013 art performance in Art Residence Aley here. After studying at the Higher Institute for Dramatic Arts in Damascus the three Syrian dancers Medhat Aldaabal, Moufak Aldoabl and Amr Karkout all arrived in Berlin to find a new destiny for themselves and their art. In addition to dance, Medhat also studied medicine and made his long and difficult way to Berlin by foot through Macedonia and Serbia. 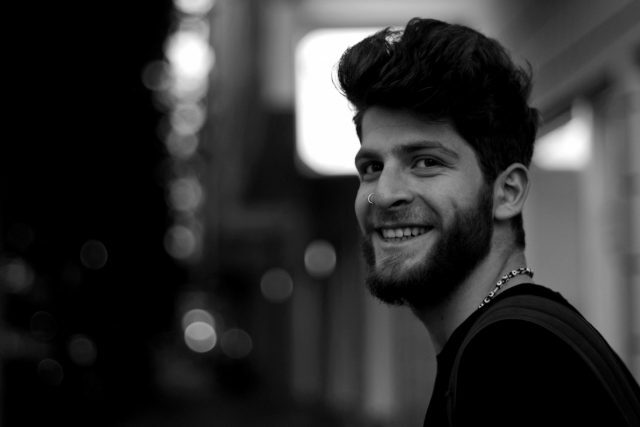 Moufak worked at the Jollanar Dance Theatre in Damascus before having to leave the country in 2015. Apart from teaching at his art school and choreographing for the opera, Amr was dancing for the Sima Dance Company and Koon Theater Group. With the latter, he came for a guest appearance to Brandenburg and decided to stay in Germany. In December 2017, with the support of choreographer Nir de Volff, the three of them adapted their stories for the dance piece “Come As You Are” performed at DOCK11 (next shows on June 10 & 11, 2018). In July you can also see Medhat and Moufak as part of the piece AMAL (“hope”) at Radialsystem V.
Baynatna, the Arabic Library functions like a typical library, granting people access to literature in Syrian, German and English, but at the same time, it serves an even higher purpose. It is a non-profit association focusing on civil education, a meeting point promoting cultural exchange through various events like readings, concerts and workshops. 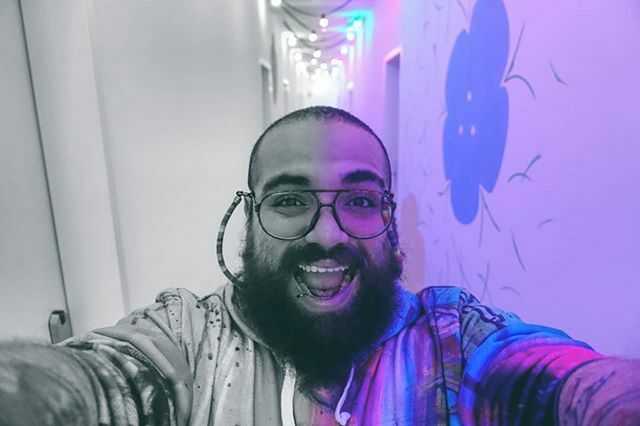 One of its initiators is the activist Muhannad Qaiconie who studied Translation at Tishreen University in Syria, and is now studying Humanities, Arts and Social Thought at Bard College Berlin. Queens Against Borders is a fabulous Berlin initiative to show solidarity with trans and queer refugees. It’s a semi-regular fundraiser performance party hosted by Olympia Bukkakis and Diva Magay and always headlined by some of the town’s most cherished queens and performers – several of them from Syria. The event promotes connections between drag, trans* and queer performance artists among refugees and drag and queer performers who are already familiar with the city. The next edition is coming up on March 29th in SO36! Needless to say, you should be there – not only will it be pure pleasure but also for a great cause! The Konditorei Damaskus at Sonnenallee 93 was opened by Tamem Al Sakka from Syria. Together with his family he left the city of Homs 5 years ago to flee from the war. It took them 2 years to get to Berlin through Lebanon and Egypt. Back in Homs, Tamem Al Sakka used to run a bakery with his family. He tried to do the same in Berlin and it turned out to be a sweet success! 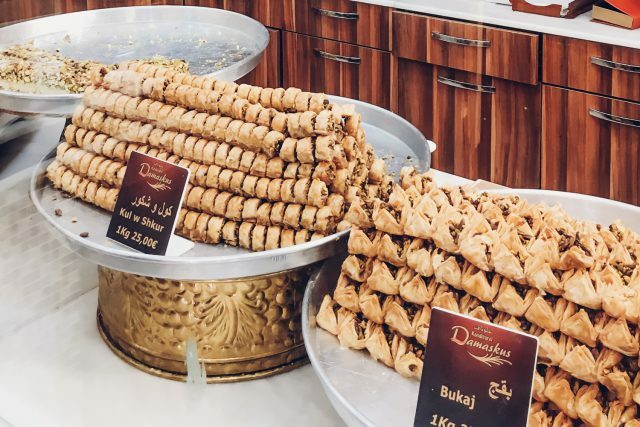 Try it for yourself – you can choose from a variety of delicious home made pastries and sweets, including all traditional Mabrumah with pistachios, Baklava, Shaybiyat and Asabe. The ”Kreuzberg Heaven” is a unique place which fosters integration of the community like few others. How so? The team preparing and serving the traditional Syrian food includes refugees from Syria, Pakistan, Iraq and Afghanistan. The organization behind this wonderful project is Be an Angel – striving to help people with the integration process for over two years now. 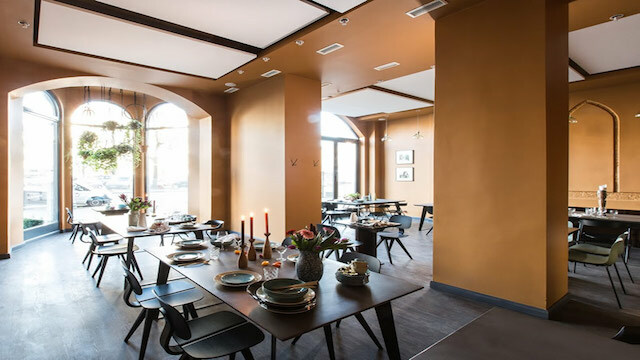 This cool booth appearing on Street Food Thursdays at the renowned Markthalle Neun merges the taste of Damascus with Berlin’s inventive approach. 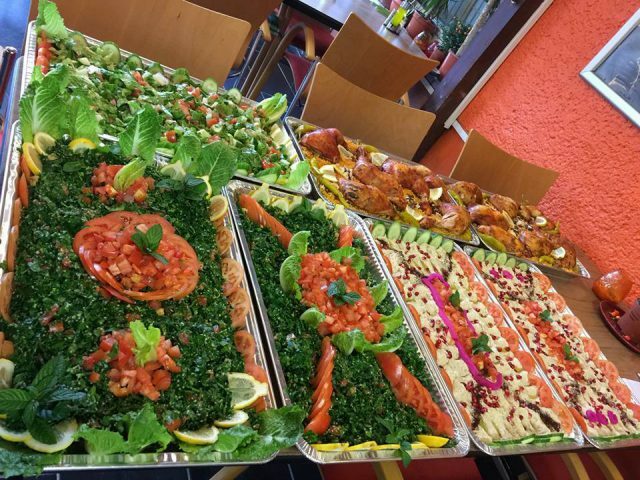 The results include delicious creations such as crunchy nuts knafeh, vegetarian fatteh or toshka sandwich. Rumors are circulating that this here is the hands off best Shawarma place in town. Needless to say, the menu also includes fries and even a veggie falafel for the vegan souls out there. 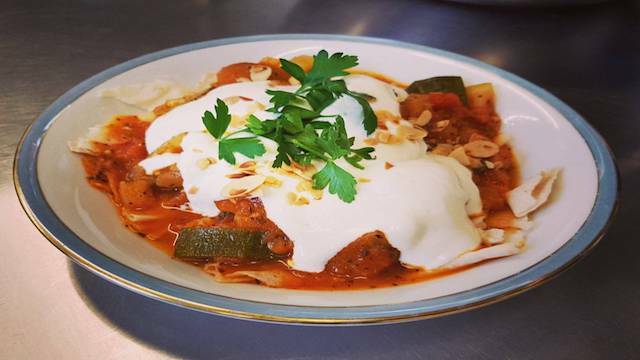 Even if you don’t live in Wedding, this Syrian cuisine place will reward your commute. 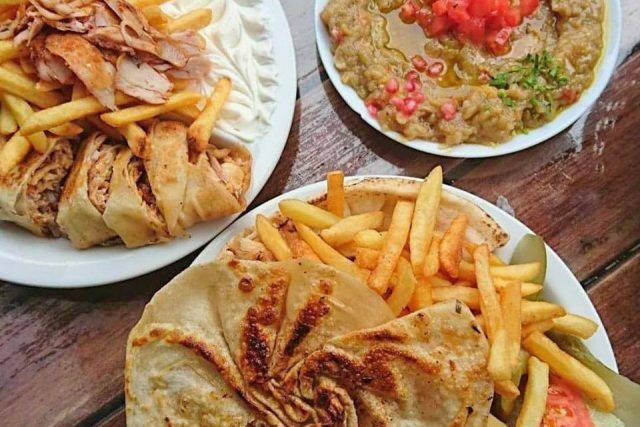 It’s not a cheap fast food place, but rather a relaxed restaurant where you can try authentic middle eastern dishes.